The Roadford Rocket, sponsored by Exe Sails, was Round 8 of the 9 event RS Aero UK Winter Series and also the 2nd event of the 3 event SouthWest Challenge. 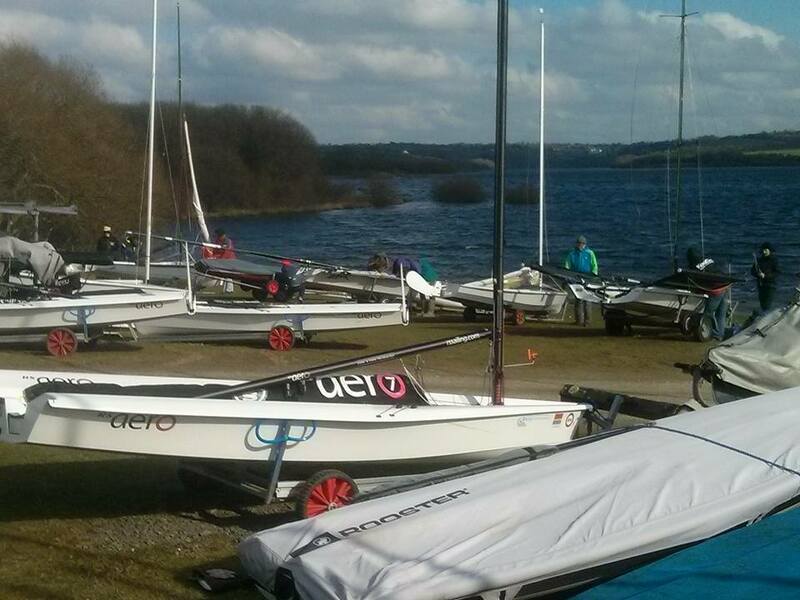 Round two of the South West Challenge 2016 was the Exe Sails Roadford Rocket held at Roadford Lake reservoir on Sunday, February 28th. 34 competitors entered for the second running of the Roadford rocket, fundraising this year for the Calvert Trust on Exmoor for the disabled. Conditions were testing both for competitors and the race team, with a brisk north easterly wind gusting 25 mph + straight down the reservoir. The race officer was able to set a long first beat straight off the start line, bringing the fleet back down the reservoir and then back up to the start line in a long figure of eight course. The laser radials were first starters in the pursuit race and were still leading at the end of lap one, but with the RS Aero 7 of Peter Barton just behind. Over the next lap, Peter Barton moved into the lead and gave an excellent demonstration of high wind, high-speed RS Aero sailing, and never looked like being caught by the pursuing Ospreys. Local sailor, Norman Halstead in his Supernova appeared to have a safe second place, but unfortunately took a swim on the penultimate leg and was just overhauled on the line by the Osprey. At the finish time, the leading boat was just starting his fourth lap. Conditions were certainly attritional with a number of capsizes, and broken booms and other fittings on some of the lasers, and some competitors retiring through sheer fatigue. After the finish, Peter Barton said that he felt he had done three full championship races straight off without a break, so as a challenge, the event certainly fulfilled its brief. John Cawley from the Calvert Trust who had competed in their new RS Venture keelboat gave his thanks to all competitors for their generosity in fundraising and presented the prizes. Very many thanks to the watersports centre at Roadford Lake for all their help and support and Exe Sails for their sponsorship of the event. 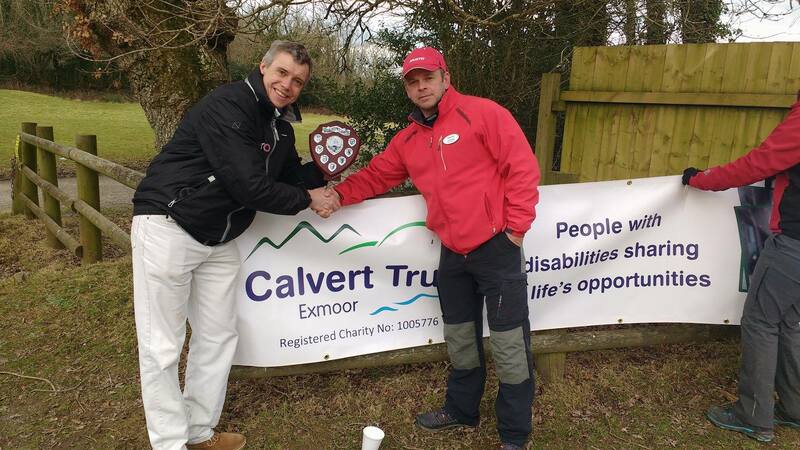 £300 was raised for the Calvert Trust. The third and final event and final in the South West Challenge is the Wimbleball Beastie on March 20th, for those in the South West not travelling to the RS Aero Spring Champs. Five RS Aeros pitched up to Roadford Lake with each rig represented! Will Taylor took a break from his studies at Plymouth Uni and sailed well with his RS Aero 5. He was looking good but it was a tall order to pull back 2 minutes on the Lasers and 6 minutes on the Radials and he didn’t manage to get them all. Dan Bridger of Salcombe YC ‘manned up’ to the 9 rig (even after being offered a ‘7’!) and had a great time with some really speedy down winds. Charlie Blazeby, also from Salcombe YC, had a great time in his ‘7’ and pushed hard to the end. Chris Jones enjoyed his first taste of racing the RS Aero and was doing well, but unfortunately missed a mark. I really enjoyed my first visit to Roadford. It is a really pretty Lake and with blue skies and a great breeze the race was a lot of fun! The RS Aero 7 stepped it up well on its sweet spots although I was very mindful of the Supernova nearby and Ospreys catching up quickly from behind. Although it was really fruity at times, with the flat water, abundant lulls and long downwinds I wonder if the ‘9’ could have been a viable option….